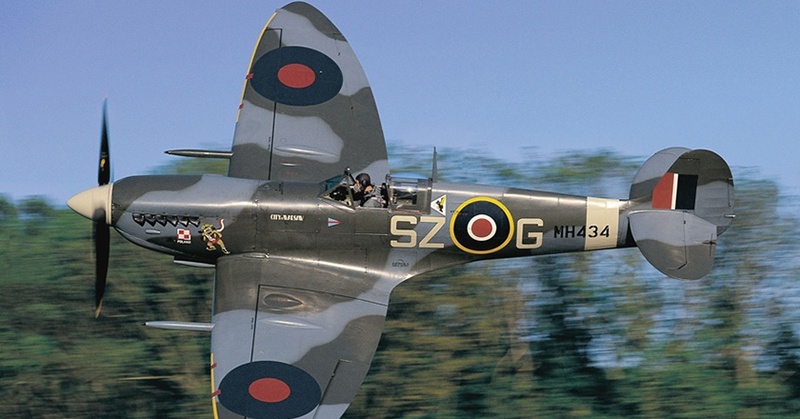 Why is the Supermarine Spitfire a symbol of British national pride? While its history has often been traced back to the Schneider Trophy’s sea plane race competitions that began in 1912, the pace of the Spitfire's evolution quickened during the Great Depression. The key to its success is a minimalist design that delivers speed and power in close quarters combat. Its performance during WWII’s Battle of Britain is credited with staving off German aerial attacks that could have devastated the country. So, what major events led up to the Spitfire becoming a British national icon? In 1931, the future of British sea planes in the Schneider Trophy races was in jeopardy. During the depths of the Depression, the British government didn’t see aviation competitions as financial priorities and cut off funding. One woman, however, believed in the seaplane’s potential after seeing models S.4, S.6, and S.6A perform well in the years before. Lady Houston gave over 100,000 pounds to ensure that her country could still participate in the 1931 competition. Engineer R. J. Mitchell, lead designer, used the funds wisely and his S.6B ended up winning the Schneider Cup that year. The success of the S.6B lead up to the creation of the Type 224 in 1934. It was a monoplane with a fixed landing gear, low gull wing, and open cockpit that was not very fast. Despite its lackluster performance, R.J. Mitchell learned from his mistakes. The model 300 would apply important lessons about flutter and stress to keep this newer all-metal monocoupe construction stable at high speeds. The British Air Ministry was happy with the 300 and decided it should be armed with eight .303 Browning machine guns, but it still kept its two-bladed fixed pitch wooden propeller. By March 1936, the Type 300 was upgraded to the first Supermarine Spitfire prototype that had a top speed of over 340 mph and three metal propeller blades rather than two, all powered by a Rolls Royce Merlin engine. The Battle of Britain was a battle of attrition, and Air Marshall Dowding knew how to use Spitfires and Hawker Hurricanes to maintain British air superiority to buy time and prevent loss. From July to October 1940, Hawker Hurricanes and Spitfires were able to wear out the German Heinkel III’s and Messerschmitts. The Me 109 could run away with a faster dive rate, but the Spitfire was more maneuverable. Although the Brits had less experienced pilots, they had the home field advantage and were able to walk back to the airfields and resume flying if they were shot down. The Me 109’s stiff controls and narrow landing gear were a disadvantage in comparison to the Spitfire, whose graceful lines and two-stage Merlin supercharger engine made it easy for British pilots handle at high-altitudes. Ultimately, the Spitfire had better kill ratios and the Germans lost more aircraft, making it the hero of the Battle of Britain and an icon of British air combat ever since. Want a closer look at the Spitfire?